Cloud backup service with centralized management and monitoring. 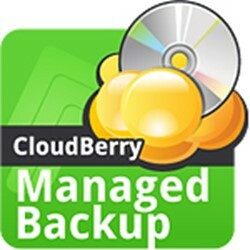 CloudBerry Managed Backup Service (MBS) is built from the CloudBerry Backup technology and designed to meet the needs of managed service providers and enterprise IT departments, providing reliable backup with centralized management and monitoring. This managed cloud backup service is integrated with Amazon Web Services, Microsoft Azure, Google Cloud Platform and almost every S3-compatible or OpenStack-based cloud storage services. For managed service providers. With CloudBerry Managed Backup solution any MSP, VAR or IT service company can rebrand and provide robust and reliable cloud backup service with remote management and monitoring. For corporate use. 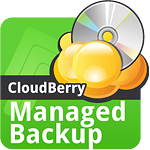 CloudBerry Managed Backup Service is also a good fit for internal use by businesses of all sizes as it allows to manage and monitor cloud backup client across multiple machines, control billing and licenses from one web-based control panel.